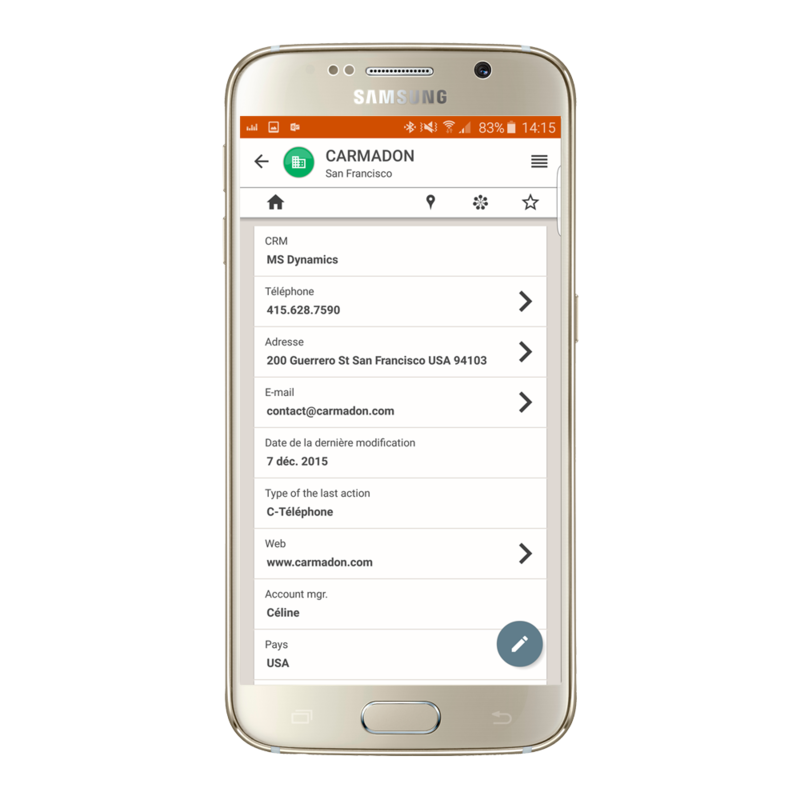 Getting quick and easy access to your customer and lead data on the move so you can use it better is already good, but being able to create or edit new customer files on your phone to save time is even better ! At the heart of Nomalys’ technology, there is the fundamental question which constantly brings us back to the main point : “ How can we ensure sustained use and adoption of the CRM by the sales team ? ”. Indeed, the sales reps’ adoption and use of a CRM is directly linked to their personal ROI. The easier and quicker the sales reps can visualize information on the go, the stronger the usage and adoption of the CRM. Consequently, your sales team will increase the quantity and quality of information they put in, simply because they will be able to use it when they need it the most, i.e. when they are in the field, facing the customer … It’s a question of give and take. With highlighted information for a quick and fun overview. Users can enrich customer databases in real time, without double entry, both offline and online. Between the sales and marketing departments thanks to a better completed CRM. The Nomalys solution brings real added value in the development of our information system enabling our business to always stay connected to business data wherever they are, quickly and safely. Nomalys is the ideal solution to reconcile our business requirements, the specifics of our customers, primarily small-scale, and our desire to be closer to our customers. Pragmatic, intuitive, customizable and scalable, Nomalys is THE solution to make our IT system mobile, increase customer satisfaction and win the support of our users.